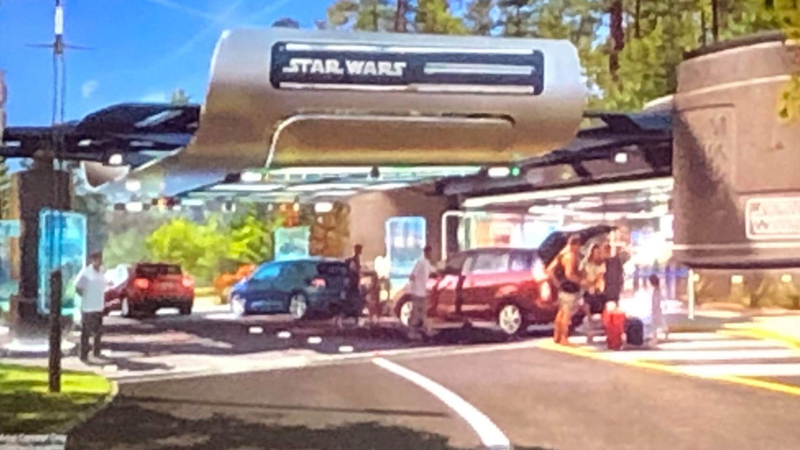 Details continue to emerge on the new Star Wars hotel coming to Walt Disney World, and during Destination D, Bob Chapek shared new images during an update on the project. The experience will start as guests pull up to the hotel and will be transported away by a launch pod into a one-of-a-kind experience that was described of being similar to a multi-day cruise experience, which is what we were expecting to help keep the story flowing from start to finish! As of now, there is still no opening time frame for the new hotel that will be located adjacent to Disney’s Hollywood Studios.